Queensland peak music association QMusic this morning announced the eight women selected to participate in its inaugural Women In Music program. In a move to foster gender equality within the Queensland music industry, the program encourages and supports women in their participation, innovation and dedication. “We were thrilled with the number of applications we received to participate in this program,” said Kim Pengelly from QMusic. Nicole Cross, co-founder of Neighbourhood Sessions to bring original music to Townsville’s backyards, marketplaces, beaches and secret locations, and Neck Of The Woods festival to showcase original Queensland music. Ash Kerley: co-facilitator and founder of the Brisbane chapter of Girls Rock!, and frontperson of the 2017 Billy Thorpe Scholarship recipients Marville. Tyler McLoughlan, founder of Brisbane based The Sound Pound, specialising in music supervision and clearances, composition, and representation of independent music across advertising, film and TV. Emma Bosworth, songwriter with a background working for APRA AMCOS and more recently as co-CEO and campaigner at Green Music Australia. Martine Cotton, founder of music industry professional development resource, Music Industry Inside Out. She’s also been Splendour in the Grass staffing manager, The Zoo venue manager & booker, artist manager, booking agent, program manager, festival booker, event producer, event manager, stage manager, tour promoter and tour manager. Noella Nix, self-managed pop, electronic and alt RnB producer and singer-songwriter who was named ‘Under the Radar Artist’ by Entertainment Weekly USA. Ella Fence, electro-pop songwriter and performer who’s extensively toured the world and working on her first album. Carlia Fuller, publicist, digital marketer and project manager with a penchant for working with emerging entrepreneurs and musicians, a well as Jungle Love Festival, Brisbane Street Art Festival and Heapsaflash Music Publicity. Developed by women for women, the program is supported by the Palaszczuk government’s Advancing Women in Business grants. It is strengthened by a $16,000 funding pool for professional development, creating real opportunities in an industry undergoing a cultural transformation. Mentorships begin in February 2019 to provide mentees with the right resources to not only inspire them in working in the music industry but also to improve their skills and deliver a vast amount of networking opportunities with women in leadership roles. At its conclusion, mentees will pitch for a slice of the $16,000 funding pool to enable them to up-skill and succeed through further professional development. 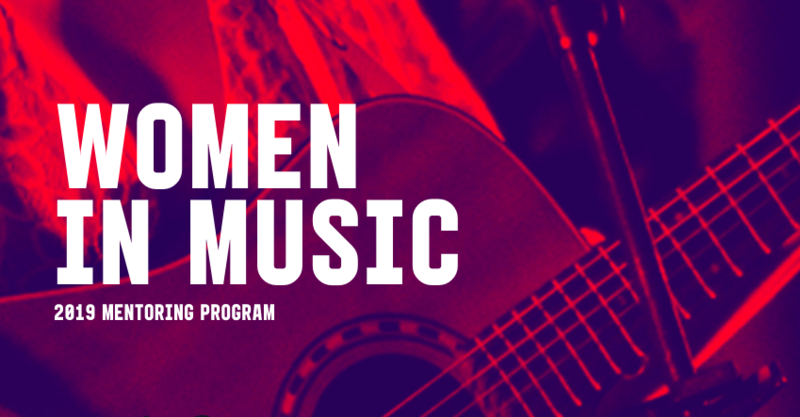 Mentors aboard for the inaugural Women In Music program are Jill Brennan, Cathy James, Kayleen Allen, Lindy Chen, Pushpa Bakshi, Jayne Arlett and Karen Schmidt who hail from change management, public speaking, marketing, tourism and export management.